With excellent sound quality and a built-in 4 x 4 USB audio interface, the Allen & Heath ZEDi-10 is a smart mixer for small-format studio and stage applications. Connect up to four microphones or line-level sources, or even two instruments without the need for DI boxes. Two additional stereo channels are available for synthesizers, drum machines, and other line-level sources. Record and play back up to four channels of 24-bit/96kHz audio via USB without the need for a separate interface. Factor in its exceptional build quality, and the compact Allen & Heath ZEDi-10 mixer stands out in its class. With USB 2.0 connectivity, the Allen & Heath ZEDi-10 mixer is ready to record and play back 24-bit/96kHz audio. 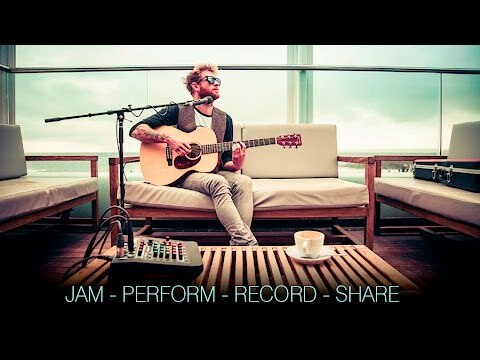 Just connect to your computer or iOS device, open the included Cubase LE software, Cubasis LE app, or your preferred DAW software, and you're ready to go. Separate controls for the USB playback channels allow you to blend USB audio with the Main Mix and Aux Mix independently. Don't be hesitant to plug your best mics into the Allen & Heath ZEDi-10. This compact mixer boasts GSPre preamplifiers, created by analog guru Mike Griffin and based on his acclaimed GS-R24 recording console. These preamps provide lots of headroom and very little noise, and promise to deliver pleasing warmth and depth. Whether you're podcasting or recording vocals for a music project, expect great results from the ZEDi-10's GSPre preamps. You won't need separate direct boxes to connect your guitar or bass to the ZEDi-10 mixer, unlike many other compact mixers. The first two channels have switchable hi-Z inputs: just hit the switch and connect any electric or acoustic-electric instruments you like. Engage the low-cut filter to help reduce rumble and unwanted low frequencies, then shape your sound to taste with the 3-band EQ. 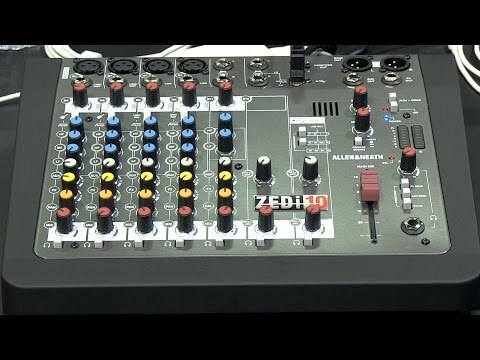 The Allen & Heath ZEDi-10 mixer is a great value for studio or stage use.